«If I am fool» illustrated quotation. Wisdom and folly, free quote pictures for Facebook, Twitter, LinkedIn, Reddit, Pinterest and other social networks. 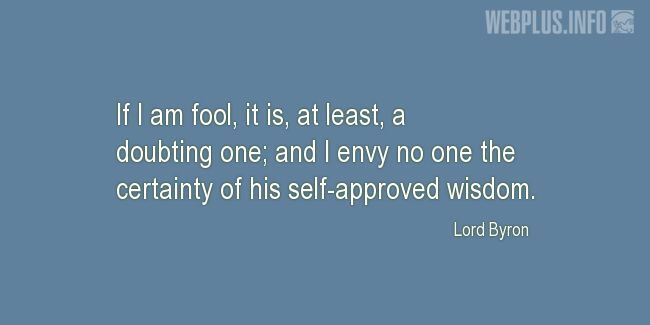 If I am fool, it is, at least, a doubting one; and I envy no one the certainty of his self-approved wisdom.